In the wake of recent restructuring at EADS, Thomas Enders, former co-CEO, took on an apparently lesser job as operational chief of the major manufacturing operation of Airbus. The other former co-CEO was Louis Gallois, who assumed sole leadership at EADS. In a speech to workers at Hamburg [Thursday November 22nd 2007] Enders returned to a familiar theme, the vulnerability of the European company to the continued weakness of the American dollar. Airbus is already shedding about 10,000 jobs and selling plants as part of its Power8 restructuring plan after delays to its A380 superjumbo drove the planemaker into a loss last year. The dollar has hit new record lows against the euro this week. Enders has taking a higher profile since taking over a new role as head of Airbus. The new structure has less of a feeling of realpolitik about it, even if the whole company had suffered for years through the tensions of Franco-German co-ownership, with minor additional support-roles from the Governments of Spain and the United Kingdom. Two stories have repeatedly surfaced in press reports. The one story examines possible malpractices within the company. The other is the competitive struggles with arch-rival Boeing for global dominance in civilian and military aircraft markets. We have followed the ebb and flow of events in earlier posts. The situation has been brilliantly updated by the Speigel team of Dinah Deckstein and Armin Mahler in an extended interview with Enders at Airbus Headquarters in Toulouse, France. 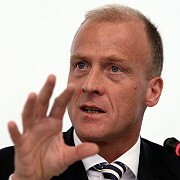 SPIEGEL: Mr. Enders, you are the fifth CEO of Airbus in the space of only two years. As a former paratrooper, how does it feel being in the ejection seat? Enders: When you’re going into a difficult mission as a paratrooper, you know that success is not guaranteed. The same applies in my job. As the former co-CEO of parent company EADS, I don’t exactly see Airbus as unknown terrain. In other words, I knew what to expect. Pulling no punches, the journalists probe the potential financial irregularities, the company’s restructuring plans and production difficulties, and the possible difficulties of the relationships between Enders and Gallois. Some of the questioning produced the routine company line. The on-going enquiry was brushed aside. But some answers were more revealing. Enders spoke frankly of the political difficulties that had plagued EADS, and Airbus specifically. This was also indicated in the tardy response of production difficulties of the mighty A380. He also confronted the problems of under-investment for innovation in competitive technology, warning that the decline in the dollar plases the company in an increasingly tough situation. SPIEGEL: The delivery of the first A380 on Monday of this week marks the preliminary end of an almost two-year cliffhanger. To complete the jet on time, employees had to be transferred to the Toulouse assembly plant from all across Europe. How much longer to you plan to produce the jet using this costly individualized approach? Enders: The first wave of 25 planes, including the five test aircraft, will in fact be produced in what is essentially manual labor. For the second wave, a modern, harmonized IT system will be used which does, in fact, make industrial series production possible. SPIEGEL: Your other big problem is the A350, the model that’s competing with the 787. It had to be completely revised, in response to pressure from customers. How could this happen? Enders: It’s very simple: We had underestimated Boeing. We hope that will never happen to us again. SPIEGEL: … Boeing seems to be playing with a better hand. Many of your plants lack the know-how to produce the new plastic fuselages in sufficient quantities and at the necessary level of quality. Enders: Nonsense! Our plants in Stade, Nantes and Illescas in Spain have long been in command of this technology and are not in any way inferior to Boeing in this regard. But we cannot come up with the needed investment money to convert all Airbus operations to carbon fiber production. That’s why we plan to sell some of our plants to new owners. SPIEGEL: Is there growing political pressure to award the contract to the last remaining domestic contender? Enders: Of course, when you are dealing with national politicians there are preferences for national solutions. This is no different in Germany than in France or Great Britain. But you won’t be seeing a feel-good or cozy compromise designed to satisfy political interests, which could leave us with some big problems in the medium term. Reading between the lines, Enders appears as a non-nonsense leader, more likely to demonstrate toughness, where Louis Gallois would instinctively display a more conciliatory style. This makes the German’s activities in Toulouse all the more interesting to follow. Gallois will be as comfortable out of the limelight, as Enders is in it. SPIEGEL: Do you confront the employees with uncomfortable truths, if need be? The tough and tender combination of Enders and Gallois may yet turn out to be a formidable team at EADS. As well as the informative text, Spiegel has some superb graphics. Earlier posts to this blog have followed the various dismissals, resignations, restructurings, and political interventions, at EADS and its Airbus subsidiary. While a major shareholder, the French government does not sit on the EADS board. Its interests are represented by the French defense and media conglomerate Lagardere, which holds a 7.5 percent stake. EADS shareholders Lagardere SCA of France and Germany’s DaimlerChrysler AG announced in March 2006 that they would reduce their stakes. There are several inter-related strands to this story. Airbus is a European flagship company with a complex governance structure through its parent EADS which involves particularly French and German Governments. The business theme is centred around the fierce competition between Airbus and Boeing products. The political theme involves unresolved bickering about the ways in which the US and European governments subsidize their commercial interests. There are additional fascinating manufacturing, logistic, and technological issues to do with creating next-generation products across multiple international sites, and meet increasingly drifting deadlines. Oh, yes, and Airbus is struggling to achieve considerable cost-cuttings with industrial relations troubles. Add to all these issues a series of allegations of corruption. 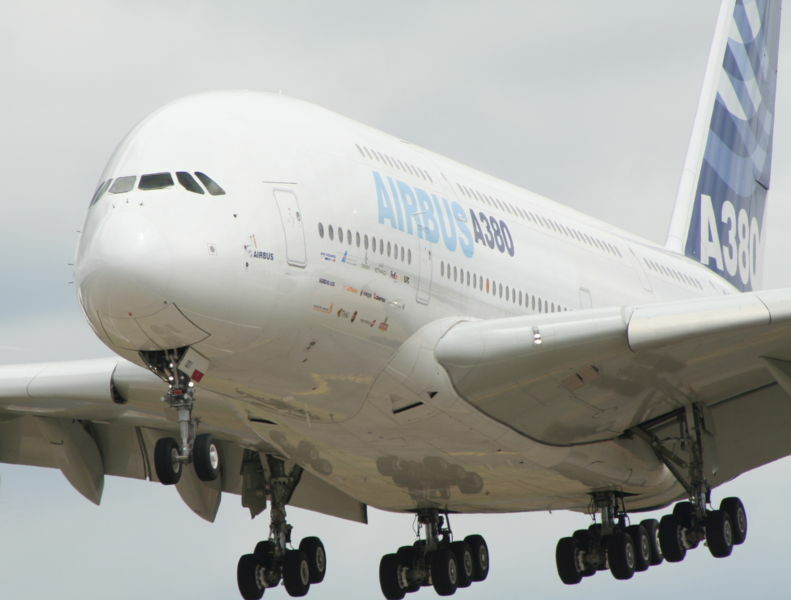 [In 2006] A380 project executives, including Airbus CEO Gustav Humbert, were dismissed. Humbert was blamed for the failure to deal effectively with the project delays, but also was accused of concealing the seriousness of the problems. In the same period, it was revealed that the joint CEO of EADS, Noel Forgeard had sold EADS stock weeks before its Airbus subsidiary announced the Airbus A380 would be delayed again. M. Forgeard resigned, and the stock plummeted. In a short space of time, Humbert’s replacement, at Airbus, Christian Streiff resigned, which was when Louis Gallois stepped in. Streiff was believed to have failed to secure backing for a financial package he believed necessary to turn things around with the A380. In a few months, the company had begun to unravel some of its knottier problems, and achieved a more convincing organizational structure. However, the changes left some players with lesser roles. [S]ince taking over the family empire after his father died in March 2003, M. Lagardère has cultivated a chatty and approachable style. He has, however, been plunged into controversies. His group is one of France’s biggest media players, owning a controlling stake in Hachette-Filipacci Media, the company that owns Paris-Match. He also has smaller stakes in Le Monde, Le Parisien and L’Equipe … M. Lagardère has been accused of interfering in editorial decisions to protect his friend M. Sarkozy and especially to prevent discussion of alleged problems in the President’s [private life]. Le Monde quoted a “close adviser” of M. Lagardère [as saying that] “whatever happens” he will be protected by M. Sarkozy. It now seems, that “whatever happens” M. Sarcozy intends to place himself hors de combat. A major restructuring is announced at EADS, the parent of the high-profile Airbus organization. The complex double helix of German and French bonds has been split apart. The reconsituted entity is a more recognizable structure. Will it provide for more effective corporate governance and strategy, as it faces severe internal and external challenges? The announcement on the EADS website was calm, hardly signifying any major changes. It all read as if everything was well-planned. EADS shareholders have decided – together with the EADS management team – to modify the company’s current management and leadership structure. Guiding principles of the modification are efficiency, cohesiveness and simplification of EADS management and leadership structure, towards governance best practices and in the respect of balance between the French and the German shareholders. The German Government has been consulted as well. Under the simplified management structure, EADS will be led by a single Chairman and a single CEO. Rüdiger Grube will assume the position of sole Chairman of the Board of Directors of EADS. In this role, he will be responsible for overseeing the Group’s strategic development and dealings with its Shareholders. In particular, he will chair the newly created EADS strategic committee. Louis Gallois will assume the position of sole CEO of EADS. In this role, he will be responsible for leading the management team in the execution of the Group’s strategy and managing the company’s interaction with public shareholders. Thomas Enders will assume the position of CEO of Airbus in the Toulouse headquarters of the company, reporting to the CEO of EADS. He will be supported by Fabrice Brégier as COO of Airbus. The French joint chief executive Louis Gallois will take sole charge at EADS while his German co-head Tom Enders gets the top job at Airbus. EADS’ complex structure has been blamed for many of its recent problems. “We need to be a normal company,” Mr Enders said. Previously, EADS had two chairmen and two chief executives: one French and one German. Daimler executive Ruediger Grube will become sole chairman of EADS, a post he previously held jointly with France’s Arnaud Lagardere. The implied abnormality by Enders was the double-harnesses imposed on EADS by the influences exerted by two co-chairman, and two co-CEOs This was the heritage of the company’s formation, and reflected the ‘least worse’ way of maintaining cooperation between the company’s two main national interests in France and Germany. No alternative better could be found than the structure which permitted one French and one German chairman, one French and one German CEO on the main board. One or two commentators suggested that the changes were not particularly unexpected. I will be charitable and suggest that those commentators must have been holding back on the outcome for some reason or other. The details are far from expected. In ealier posts I had chronicled the various problems at EADS and its the troubles that have piled up for its major subsidiary, Airbus. The recent press reports had led me to conclude that attempts to resolve the complicated dual-management structure appear to be centering on co-chief executive Tom Enders. Mr Enders is a controversial figure in France after he publicly criticized political interference from Paris and suggested the possibility of sensitive asset disposals. However, Daimler, the core German industrial shareholder in EADS, is determined that Mr Enders should not be sacrificed in any final deal. Let me put a few pieces on the chessboard. Louis Gallois, head of Airbus, is widely admired, and believed to be needed to stick it at Airbus, and see though Power 8, the strategic plan to streamline the business. This is a production and commercial imperative. He is co-CEO of EADS with Tom Enders at present. Arnaud Lagardère of the media group of the same name is French Co-chairman of EADS. His German co-chair is Rudiger Grube. Nicholas Sarcozy and Angela Merkel are also in play, with special concerns for their national interests (and for their own political positions). EADS Shareholder DaimlerChrysler has signaled willingness to increase its holding, a positive gesture to Sarcozy who would like to reduce the holding of the French Government. DaimlerChryser’s bid is linked to their interests in keeping Tom Enders in play. Rumors suggest the game will involve taking Enders off the board. This has been denied emphatically by the company. So what is ‘behind the headlines? The company statement seems to have airbrushed out Arnaud Lagardere, the earstwhile Co-chair of EADS. Strange. So the German Rudi Grube takes over as Chair of the EADS main board. But Lagardere remains a powerful figure and shareholder. It has been suggested that he has escaped scrutiny over earlier share scandals, and is ‘protected by Sacozy, who in turn is aware of a rather soft-ride from M Lagardere in his recent election campaign. And there is the possibility that the media figure will be in line to return as sole Chair of EADS in the future, in an agreement in which the Chair will rotate from German to French holders every five years. Another ‘solution’ left Louis Gallois as CEO of EADS and Tom Enders in charge of the subsidiary Airbus. This grants Gallois his (alleged) wish to avoid being left to sort out Airbus while answering to Tom Enders. On the other hand, the one figure widely regarded as key to implementing the Power8 plan at Airbus is Gallois, now expected to play a more political role. The changes are sufficiently complex to warrant a working party investigating them. Boeing launches its much-awaited Dreamliner 787. For Airbus is must seem more like a nightmare. In this fantasy battle, their champion, the Airbus 380, appears to be as potent as Superman in Kryptonite underpants. Can the European aero-dream still turn out all right in the end? In Seattle they build planes. And, at the moment they are also very much in the Hollywood territory of selling dreams. The fantasy object is the new Dreamliner. High-tech, high-flying, the i-phone of the skies, the flying apple of the mind’s eye. Meanwhile, some six thousand miles to the East (well within the 8000 mile range of the Dreamliner), Airbus executives put a brave face on for the ceremonies. Who can doubt the power of the dream? Who knows what happens if we stop believing, as James Barrie reminds us in Peter Pan, and Terry Pratchett points out in The Hogfather. The selling of the dream has been a signal success, with press release claims that the 787 is already the fastest-selling commercial airplane in history with over 600 orders valued at more $100 billion at current list prices. Even those us immune to the romance of the tale know that the 787 is the next giant leap of a line of aircraft of great consequence in the history of civil aviation. The 707 was a first. The 747, affectionately known as the first Jumbo jet. Now the 787, the star in the theater of aero-dreams. Is the A350 really that spectacular? Hard to say, but one thing is for certain it is certainly no match for the robust, daring and dashing Dreamliner of today. Airbus’s attempt to compete with the Free Market Boeing Company has once again earned itself a distant second place or last place in the battle for the sky. The A-350 will use the same fuselage as the A330, but the wings will be made of composite. This is hardly a reciprocal response to Boeing’s cutting edge technology and advancements in design. But we have come to expect mediocrity from Airbus. When flying do you really want to ride in a bus while traveling at 30,000 feet in the Air? Think about it. The Free-Market Boeing versus EU-subsidized EADS is important issue which will continue to be brought into the debate. The article also gets to another the key factors in the argument, the technical merits of the competing products. In Europe, the financial press is more preoccupied with the boardroom battles within EADS, the corporate parent of Airbus. The Financial Times suggests that the efforts to restructure its complicated dual-management structure appear to be centering on co-chief executive Tom Enders. We will continue to follow the twists and turns of this board-room battle. My point here is that persistent stories of corporate infighting may be indicating that the overall position is highly unsatisfactory. Boeing, we may presume, is doing very nicely. So nicely, that there are few rumors of boardroom clashes. In contrast, EADS leadership is forced to attend to the battles over its international border disputes. What if anything can EADS, and more specifically the larger part of the outfit which is Airbus, do to break out of its nightmare? Incidentally, a deadline is approaching (July 16th) which dragged the New French President into the battle. Arnaud Lagardère of the media group of the same name is French Co-chairman of EADS . His German co-chair is Rudiger Grube. The current form of the EADS/Airbus nightmare will be shared more widely in Toulouse after this month’s summit meeting. Sarcozy, EADS. Qu’ est-ce qu’il a les demaneaisons? Nicholas Sacozy may be finding that EADS and its Airbus operations are giving him a most irritating itch that refuses to go away. One of his first acts as President was to visit the Toulouse sight of Airbus. Now the earlier governance problems at EADS may be returning to chafe him, with suggestions of his own peripheral involvement. Last year, A380 project executives, including Airbus CEO Gustav Humbert, were dismissed, primarily for failure to deal effectively with the project delays. Humbert was also was accused of concealing the seriousness of the problems. In a short space of time, Humbert’s replacement, Christian Streiff resigned, and the current leader, Louis Gallois was brought in. Streiff was believed to have failed to secure backing for a financial package (The Power8 plan) he believed necessary to turn things around with the A380. A third A320 Family FAL [Final Assembly Line] will be set up in Hamburg immediately to cope with the steep production ramp-up currently under way. This FAL will be established in already existing facilities and will have full type flexibility when demand for A320s exceeds rate 14 per month. The A320 will continue to be assembled in Toulouse up to 14 [per month]. Hamburg will also perform final assembly of the future New Single Aisle family.. Furthermore, in order to allow parts to be fitted in the most logical place to optimize the overall cycle time, some upstream preparatory A320 and A380 cabin installation work will be transferred from Hamburg to Toulouse. Which did not prevent vigorous opposition to the plan at Toulouse, and an early problem for Nicholas Sarcozy’s Presidency. Within weeks of his election, Sarco was at Toulouse. He bought some time, obtaining some wriggle room by promising to return in July with Angela Merkel, thus indicating the international dimension of the problem. But the earlier itch remains. The French co-chairman of EADS, and known to be close to M Sarcozy has been questioned by financial investigators still exploring into alleged insider trading in EADS last year. M. Largardère, claims that he had no inside knowledge of delays in deliveries of the A380, when his family group sold off 7.5 per cent of the Franco-German planemaker’s shares in April 2006. [S]ince taking over the family empire after his father died in March 2003, M. Lagardère has cultivated a chatty and approachable style. He has, however, been plunged into controversies. His group is one of France’s biggest media players, owning a controlling stake in Hachette-Filipacci Media, the company that owns Paris-Match. He also has smaller stakes in Le Monde, Le Parisien and L’Equipe … M. Lagardère has been accused of interfering in editorial decisions to protect his friend M. Sarkozy and especially to prevent discussion of alleged problems in the President’s [private life]. Le Monde quoted a “close adviser” of M. Lagardère yesterday as saying that “whatever happens” he will be protected by M. Sarkozy. I took this to mean that his friend would continue to conform to the French distaste for airing the personal problems of politicians. Nevertheless, in England, The Independent’s article may be taken for evidence of a political cover-up. The EADS itch will not be going away for the new President. Early into his honeymoon period, President Sarcozy finds himself in action at the fermenting Airbus organization. Contrary to his reputation and inclinations, he finds a waiting move, buys himself some time, and preserves some of his limited options. Airbus was always likely to be an indicator of M. Sarcozy’s presidential style. Politicians may be accused of not listening, but they do listen to the evidence provided by popularity polls, especially those connected with the votes they may be winning or losing in democratic elections. During his own leadership campaign, his call was for a strengthening of the leadership of the company through attracting new investors to its board. This came through more clearly than his views on the difficulties facing the company, such as immediate production difficulties and the longer-term strategic and governance issues which have been the preoccupations of its chief, Louis Gallois. The plan to address these problems has led to Union unrest not only in France, but elsewhere in Europe where the plans also threaten jobs. In an earlier post, I suggested that for all Sarco’s intentions, it is hard to see him being in a position to make a difference to Airbus, in the short-term. A gesture of masterful inaction is likely to be his best outcome at the moment. For Gallois, a seasoned executive with ties to the Socialist Party, the election of Sarkozy injects another volatile element into what is already one of the hardest repair jobs in European industry. … he is, at heart, a free-market reformer or an economic nationalist determined to prop up France’s industrial patrimony. Given his track record and the imperatives of French politics, several experts said, he is likely to be a bit of both. Sarkozy, they predicted, will give Airbus leeway to proceed with cost-cutting, while at the same time moving to strengthen France’s influence over the enterprise. There are times in politics, when as in chess, the leader has to find a waiting move. In chess, the idea is to move without disturbing the delicate balance in a complex and dynamic situation. You do best by effectively not disturbing the status quo. So it was in Toulouse. Facing angry Unions, represtatives of the Company’s French leadership, and the wider international press, he signals two somewhat contradictory positions. Yes, he will ‘stand by’ and ‘do his duty’ to the interests of the French employees. But in the longer term, he does not rule out selling the Government’s stake in the company. I will return, he promises. In July. When he will be accompanied by his new friend Angela. If not masterful inactivity, we have seen an example of how to create a little wriggle room in a tricky situation. Nicholas Sarcozy discovers that Airbus will be one of many issues which will require his attention as President. At present, he may be able to do little more than signal his awareness of its significance. He is unlikely to have a long honeymoon period. The energetic M. Saroczy moves quickly to the scene of potential troubles over the future of Airbus employees in France. The company serves as an interesting indicator of his leadership style early on in his Presidency. He arrives at the firm’s Toulouse headquarters with plenty of experience and preparation for what he will do. While it has not dominated the recent Presidential campaign, he will have had as much time then, as he is likely to have in the future for considering his plans. His call then was for a strengthening the leadership of the company through attracting new investors to its board. In the election battle he avoided addressing the immediate production difficulties and the longer-term strategic and governance issues which have been the preoccupations of Louis Gallois. For all Sarco’s intentions, it is hard to see him being in a position to make a difference in the short-term. The workforce has already begun action direct. He comes as the newly appointed champion of the Right. A gesture of masterful inaction is likely to be his best outcome at the moment. Across the channel, an historic election recently resulted in the appointment of leaders to the new power-sharing assembly of Northern Ireland. The challenges facing the leaders are as tough as any facing Sarcozy. In his acceptance speech, deputy leader Martin McGuinness recounted advice he had been given. 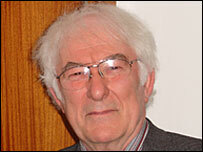 He had chosen Seamus Heaney as his mentor. The great Irish poet had urged him to pay attention not to togetherness, but to working and celebrating ‘otherness’. Not bad advice for Nicholas Sarcozy. Also, as a general principle, listen to the poets. Their worlds, and words, in another inspired phrase borrowed from Seamus Heaney, offer us redress to our assumptions and beliefs. That’s maybe a worthwhile leadership principle of itself. You are currently browsing the archives for the Louis Gallois category.